Here’s a product that might interest you. I use the PortionMate rings in my office to help clients visualize portions for better estimating calorie needs. Visit their website at http://portionmate.com/ or read below for some more information. Let us know what you think by leaving a comment. PortionMate™ is a set of six color-coded cylinders with volumes from largest diameter to smallest diameter, 1 cup (Green), 3 ounce (Red), 3/4 cup (Yellow), 1/2 cup (Orange), 1/3 cup (Blue), and 1 ounce (Purple). A FREE detailed 64 page Nutrition and Meal Planning Guide, reviewed by registered dietitians is included with each set. 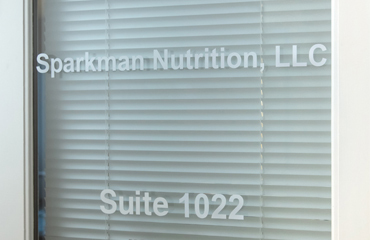 A nationally recognized specialist, Alexa Sparkman has more than 30 years experience as a Registered Dietitian Nutritionist working with nutrition therapy and behavioral change. She is uniquely qualified to counsel people of all ages toward a healthier way of eating, renewed lifestyle and wellness. Alexa is a well-sought-after source and has been quoted in major metropolitan publications including Texas Monthly, Austin American-Statesman and local favorite Austin Fit Magazine. As a lecturer in the Department of Nutritional Sciences at the University of Texas at Austin, Alexa taught nutrition counseling skills to upper-level undergraduates and works as a preceptor with UT’s Coordinated Program in Dietetics.